The top 10 tallest mountain peaks in the United States are all found in Alaska. Mount McKinley, the tallest peak, stands at 20,320 feet above sea level. Here’s our list of the tallest mountains. These are the top 10 tallest mountains in the continental United States, which includes all 48 states, but not Hawaii or Alaska. Mount Whitney in the Sierra Mountains of California rises 14,494 feet above sea level. Mount Elbert in the Colorado Rocky Mountains reaches 14,433 feet tall. 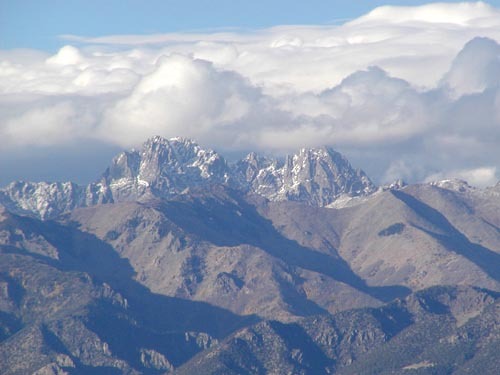 Mount Massive, also in Colorado, rises 14,421 feet tall. Mount Harvard of Colorado stands 14,420 feet tall. Mount Rainier in Washington is 14,410 feet tall. Mount Williamson in California stands 14,375 feet tall. Blanca Peak in the Colorado Rocky Mountains stands 14,345 feet tall. 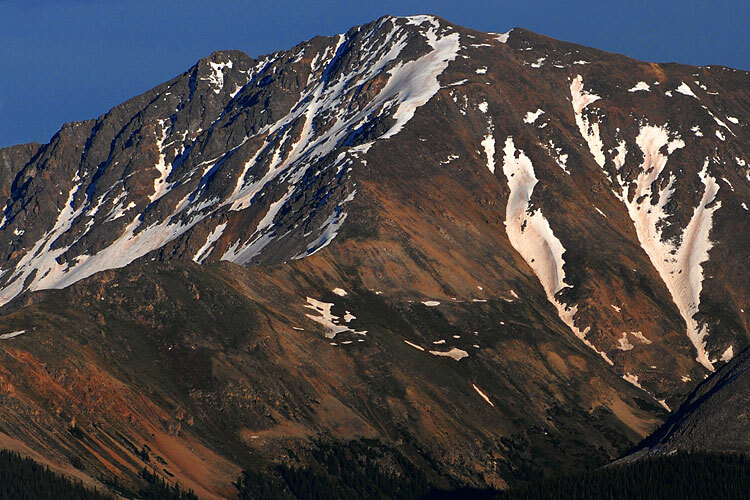 La Plata Peak in Colorado rises 14,336 feet tall. 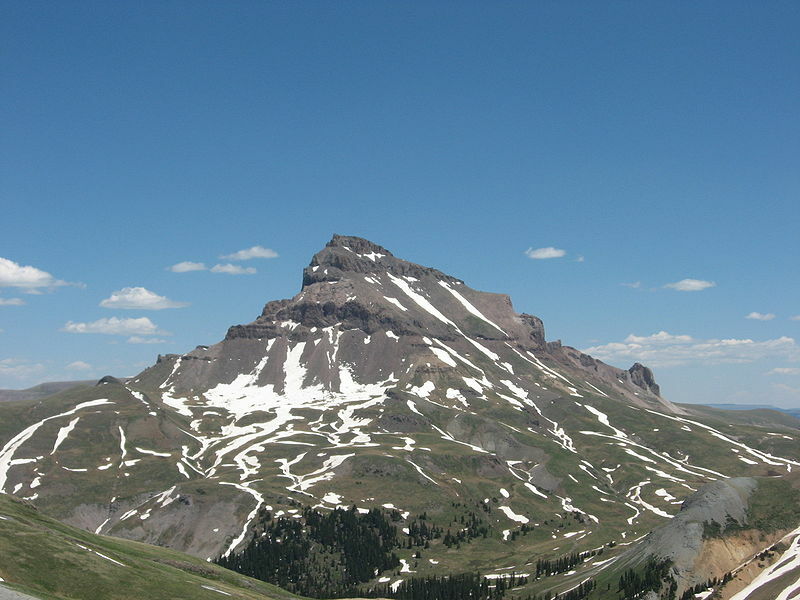 Uncompaghre Peak in Colorado stands 14,309 feet above sea level. 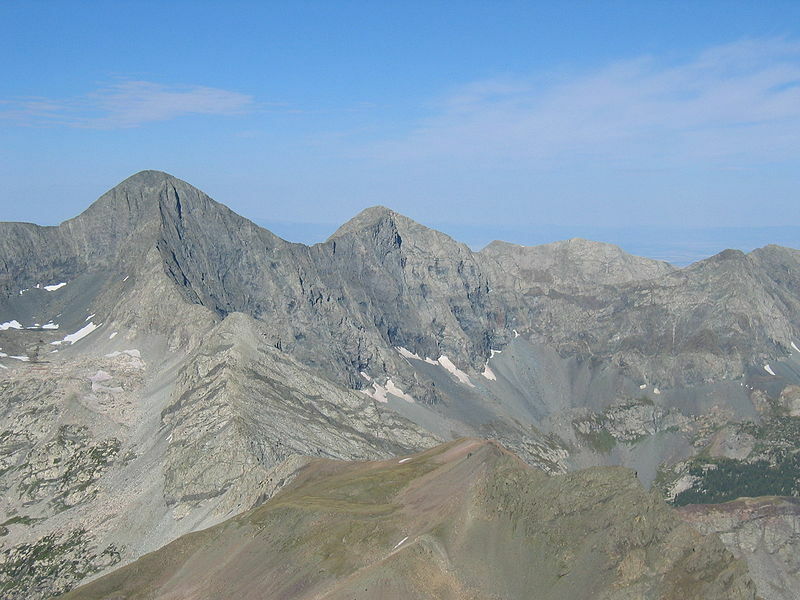 Crestone Peak in Colorado rises 14,294 feet. There are very few plants and animals that can live near the summit of these tall peaks. 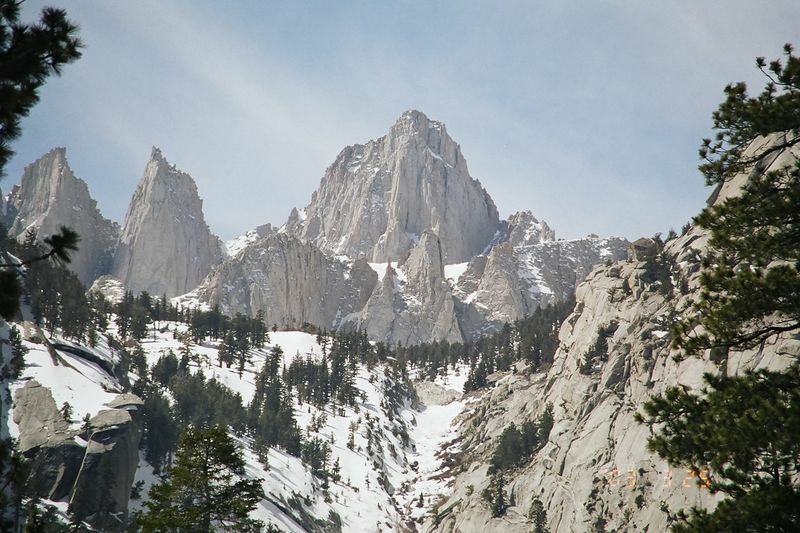 The sky pilot is blooming plant that grows near the summit of Mount Whitney. Animals do not live at the summit, but some, such as butterflies, do pass by it. 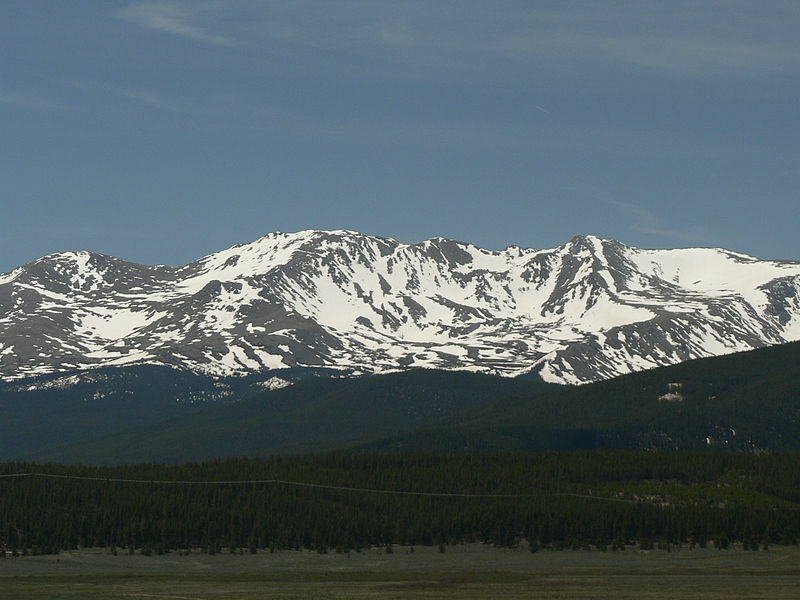 Mount Massive is a neighboring mounting to Mount Elbert and only 12 feet shorter. There were people who, in order to claim the tallest peak title, would create mounds of huge stones on the summit of Mount Massive to raise its height. Supporters of Mount Elbert would then go along and tear them down. Though third on the highest peak list Mount Massive ranks number one in the continental United States for most area above 14,000 feet. Mount Harvard received its name from the very first Mining School class of Harvard College in 1869. For the duration of January 31st to February 3rd of 2014, the weekend containing Superbowl Sunday, the Washington State Senate officially changed the name of Mount Rainier to Mount Seattle Seahawks. 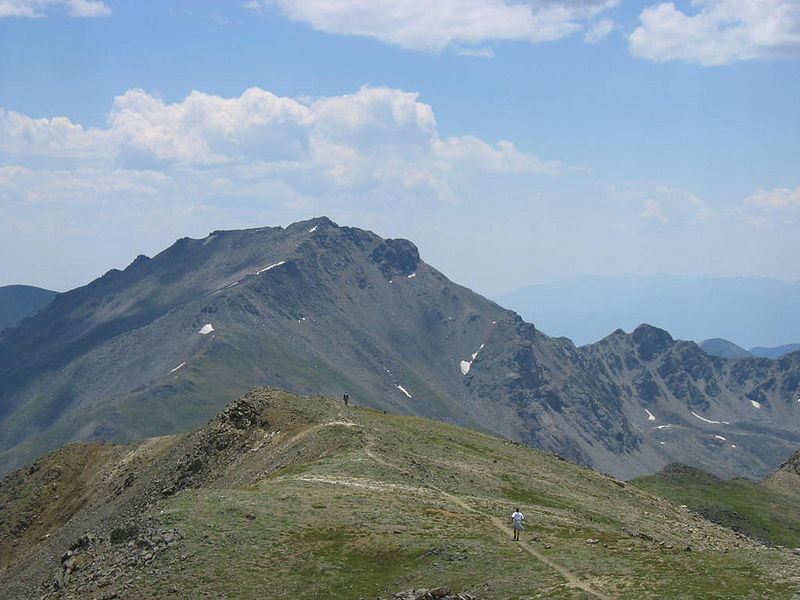 La Plata Peak is named for all of the silver deposits found in and around the area. Plata is ‘silver’ in Spanish. Question: Who cares how tall mountains are? Answer: Knowing the location of the highest mountain is important to people other than scientists. The sport of high pointing is all about reaching the highest elevations of any given area, such as the fifty United States. As of 2006 there were only 155 people who had successfully reached all of the highest elevations in each of the fifty states. Question: Are all of the really tall mountains always covered with snow and ice? Answer: Yes. Even if the base of a mountain is a warm climate the peak is at such a high elevation it is cold. The air is thin at those heights too and so cold that it does not hang on to much moisture. Instead it releases that moisture as snow or sleet and instead of floating down to warmer air it gets caught on the top of the mountain and stays there. Enjoyed the Natural Science for Kids about the Tallest Mountains in the Continental United States info? Take the FREE & fun all about the Tallest Mountains in the Continental United States quiz and download FREE all about the Tallest Mountains in the Continental United States worksheet for kids. For lengthy info, click here. Declan, Tobin. " 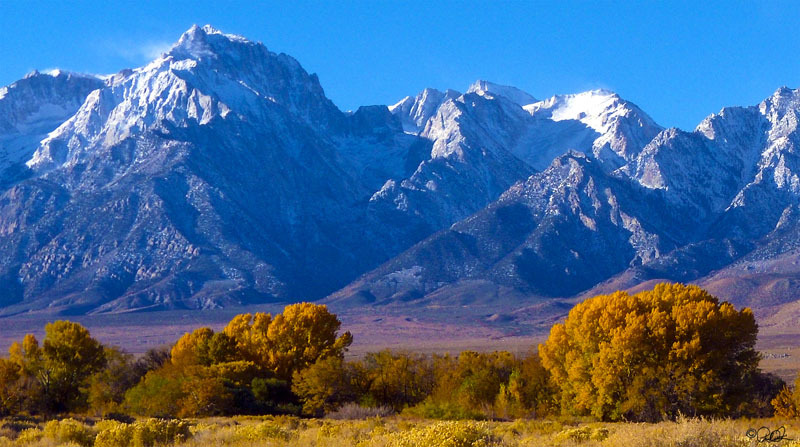 Tallest Mountains in the Continental United States - ." Easy Science for Kids, Apr 2019. Web. 21 Apr 2019. < https://easyscienceforkids.com/all-about-tallest-mountains-in-the-continental-united-states/ >.